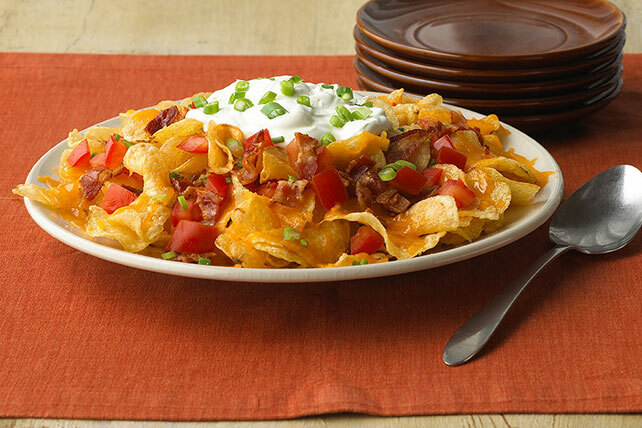 Don't feel pressured to only eat nachos with tortilla chips if you have potato chips at home! Try our Potato Chip Nachos recipe for a bite of crunchy and cheesy goodness. Switch things up in a deliciously crunchy way! Spread chips onto large microwaveable plate; top with cheese. Microwave on HIGH 1 to 2 min. or until cheese is melted. Substitute 1/2 pkg. (22 oz.) ORE-IDA Waffle Fries, baked as directed on package, for the potato chips.